Perfect for a DIY Bride, Make your own Bouquet, Flower crown, Button holes and Bridesmaid combs from our beautiful selection of dried and preserved flowers. Join Michelle for the day and make your own wedding flowers. We will be using the traditional taping method, offering dried and preserved flowers from a gorgeous array of interesting foliage and seed pods. 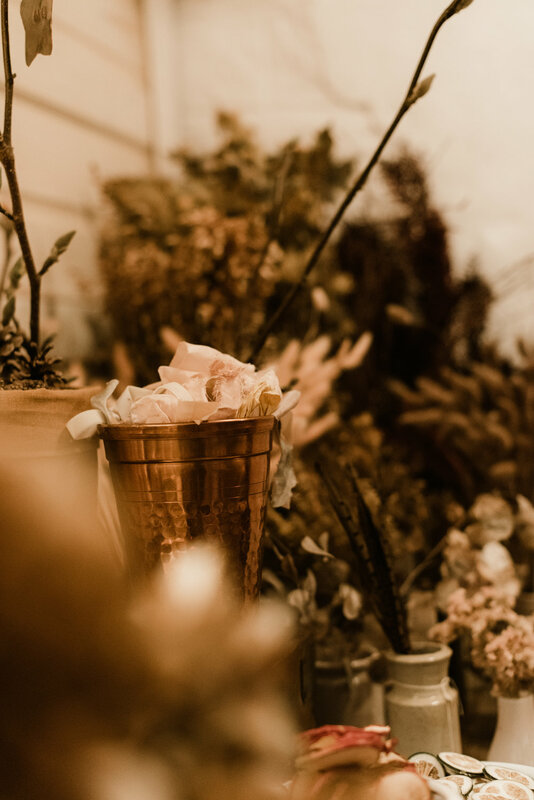 The class will be taught using dried roses, dried hydrangea, dried ferns and interesting flowers, with beautiful silk ribbons to create a stunning everlasting dried flower collection for your wedding day. The Workshops lasts 3 1/2 hours. 1 persons per workshop. We can accommodate larger bookings on request.